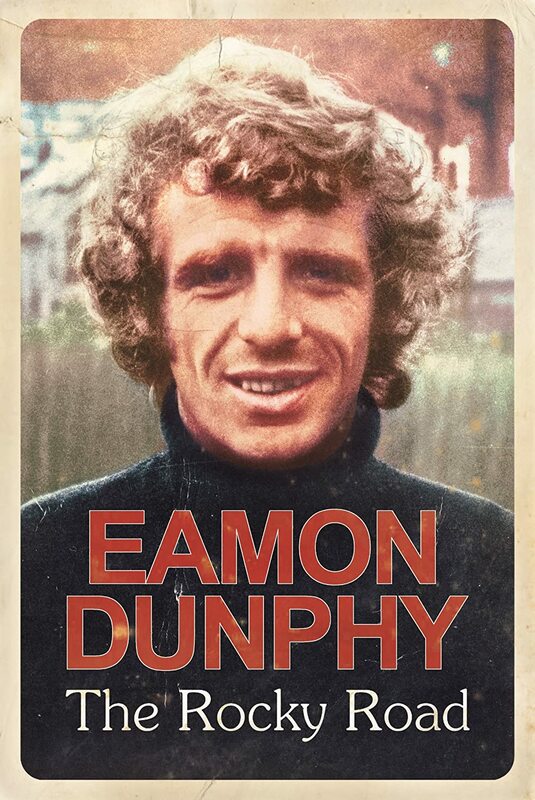 I have always liked Eamon Dunphy as a TV pundit. I don't always agree with what he says, but I find him a passionate and fascinating character when it comes to football. Watching football on TV over the past 20 years would have been much duller without his participation in TVs best trio of football pundits - John Giles, Liam Brady, and Dunphy. You can always be sure that even if the football is poor, the chat before, at half-time, and after would be exciting. He always called it as he saw it - so when I saw his new autobiography I just had to purchase it straight away. I once said "hello" to him in a shop in Donnybrook when he was buying cigarettes (Sweet Afton), and I think I once saw him play for Shamrock Rovers against Limerick in the late 1970s. The Rocky Road deals with Dunphy and his life up to the World Cup in 1990. For football fans of English and Irish football it is a fascinating account of a self-confessed journey man who signed for Manchester United as a boy, but played all his football in the lower English leagues, finishing up in the League of Ireland. His account of life as a footballer playing for York City, Reading, and Millwall is by far the best part of the book for a football fan. His time at Shamrock Rovers was brief and not as interesting, but it does offer an insight into the attempt by him, John Giles, and Ray Treacy to instil some life into the League of Ireland. His time as an international footballer was far from the glory days of Euro 1988, Italia 1990, USA 1994, and Japan-Korea 2002. His hard hitting accounts of how Irish football was run by "suits", while bitter, show that his passion was football and that he hated seeing it taking a back seat to the junkets and goodies that surrounded the international game. The controversies with Jack Charlton are well known, and are well aired by Dunphy in the book. He does admit that he was not always right and that his major regret was the effect that it all had on his family. The last paragraph of the book must have been difficult for him to write. There is very little personal material in the book - no account of dating, getting married, birth of his kids - in fact they are barely mentioned at all. What does get a mention is some serious name dropping by Dunphy at every opportunity, for example on page 331 Ruari Quinn is mentioned once for no reason at all. Overall - and I can't resist this: It's a good book, not a great book!